Welcome to the Thailand Incentive Trip Achievers Blog Hop for June 2017. This month our theme is the "Our Annual Catalogue Favourites". The new Annual Catalogue is incredible! We want to give you some more ideas on how you can make the most of all your wonderful new products or to show you how to use ones that you haven't purchased as yet. You may just be starting the blog hop here at my blog - Sherry Roth - or may have come from the person previous to me in the list. If you get off track at any time, the full lineup below will help you move along from blog to blog so you see all the projects. At the moment you are visiting Sherry Roth. 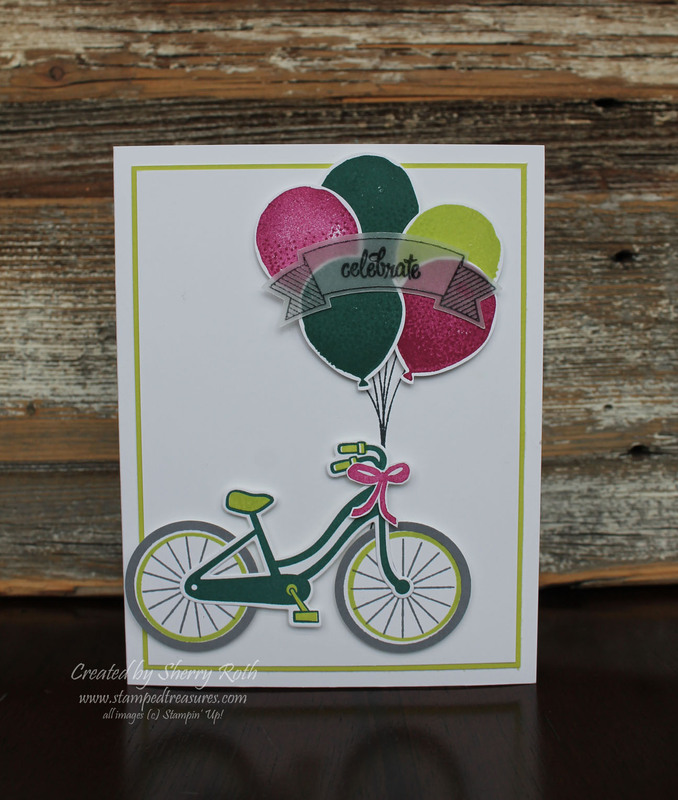 The card that I'm sharing today began with some leftover pieces from a swap that I just finished. Normally I would just toss them into a bowl for another day. However, when I looked at the next task on my list and saw that I needed to create something for this blog hop, I thought I might as well use the pieces I had leftover! When I first looked through the catalogue one of the sets that really stood out to me was the Bike Ride stamp set. I loved the sample in the catalogue! The bike is so adorable. I knew it would be one of my first purchases. For the first card I'm sharing today, I combined it with the balloon Celebration stamp set. So we have a little new mixed with old. I am loving how it turned out! Not only did I have a couple bikes leftover from my swap but I also had some scraps of ribbon.I had frayed the ribbon to create little bows on my swaps (I'll share those next month), but I had these strips of ribbon that I just couldn't throw away so I decided to layer them to make it look like grass. I think it turned out pretty nice! 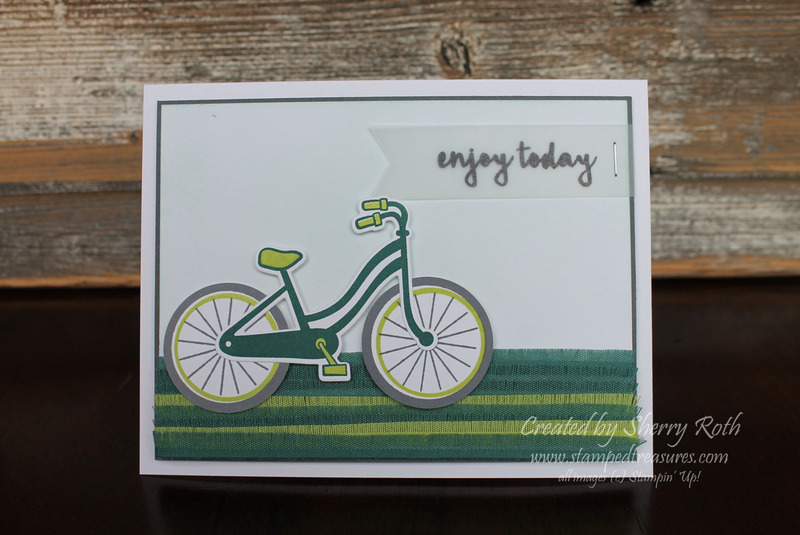 This Bike Ride stamp set is so adorable! I just love it and can't wait to play with it a little more. Thanks for taking part in our blog hop, there are so many amazing ideas and inspiration you don't want to miss. Remember that currently you are at my blog - Sherry Roth, so check the blog hop line up list to see who is next in the list.